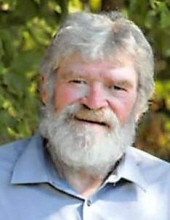 William K. “Bill” Lavrenz, 63, passed away peacefully on Sunday, April 7, 2019, at his home in Taycheedah. He was born in West Bend on Friday, October 21, 1955 to Kenneth and Mary (Wagner) Lavrenz. Bill was a 1973 graduate of Waupun High School. On Saturday, June 18, 1977, he married Debbie Emanuel in Fond du Lac. Bill and Debbie raised four amazing sons together during their marriage, and the lessons Bill passed on to them will always be remembered. Though he worked hard, side-by-side with his wife during his career as a jeweler, he also found ways to relax and enjoy his life. Bill was great at shooting pool and made sure each of his sons learned from his talent; complete with their own personalized cues. Throughout most of his life, Bill was best known for spending his spare time out on the boat with his brothers and friends, as he was an avid fishing enthusiast. He was quick to offer a smile and a friendly conversation: his kindness will be missed by all who had the honor of knowing him. Survivors include his loving wife, Debbie; their four sons, Joe Lavrenz, Jason (Nikki) Lavrenz, James Lavrenz, and Jeremy Lavrenz; two grandsons, Tristan Klahn and Sawyer Vetos; his mother, Mary Lavrenz; three brothers, Jesse Lavrenz, Henry Lavrenz, and Scott Lavrenz; a sister, Susan Lavrenz; a brother-in-law, Lloyd Hilgendorf; and many aunts, uncles, nieces, and nephews. He was preceded in death by his father, Ken; and a sister, Kim Hilgendorf. Visitation will be held from 3:00 PM – 6:00 PM, Friday, April 12, 2019 at Church of Our Saviour, 363 S. Main St. in Fond du Lac. The funeral service will begin at 6:00 PM with Pastor Matt Agee officiating. Cremation will follow the service. To send flowers or a remembrance gift to the family of William K. "Bill" Lavrenz, please visit our Tribute Store. "Email Address" would like to share the life celebration of William K. "Bill" Lavrenz. Click on the "link" to go to share a favorite memory or leave a condolence message for the family.